Odysseus threatens the witch Circe with sword drawn demanding she restore his men to human form. The witch flees from her chair dropping her mortar and pestle (or cup and wand). with his sword. 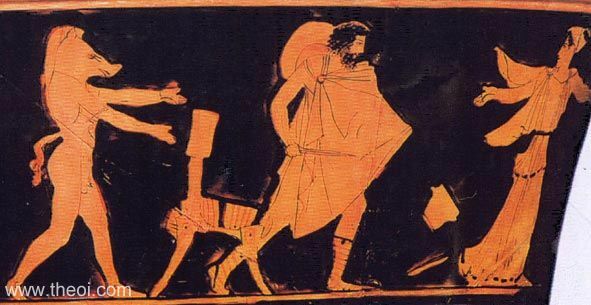 One of Odysseus' men stands to the left, partially transformed with the head and tail of a boar.